This summer, Alexia’s working on a research project with Dr. Anne Ellis at Queen’s University’s Department of Biomedical and Molecular Sciences. Dr. Ellis’s research explores allergies and their impact on the Canadian population. Alexia’s project will help determine whether links exist between local pollen counts, a mother’s allergies (or lack of them), and biomarkers of children’s potential allergies in umbilical cord blood. From there, researchers will better understand the impact of pollen on children’s health outcomes and whether pollen-related allergies can be prevented. The Aussie is researching a strange phenomenon dubbed ‘The Ranchlands Hum’— a mysterious noise that has plagued residents in the northwest Calgary community of Ranchlands since 2008. Luanna’s in Canada as a Mitacs Globalink intern where she’s collaborating with Professor Wei Peng on a project to make wind power more efficient. One Tunisian student is focusing on the Spencer Creek watershed in Dundas, Ontario (near Hamilton), in the hopes of understanding — and preventing — floods in the area and across Canada. Houssem Hmaidi is an engineering undergraduate at the University of Medjez El Bab who is spending his summer at the University of Guelph through Mitacs’ Globalink program. Under the supervision of Dr. Andrew Binns, he’s working on a 2-D modelling project that simulates real and staged flooding events in the region, using software developed by the U.S. Army Corps of Engineers. 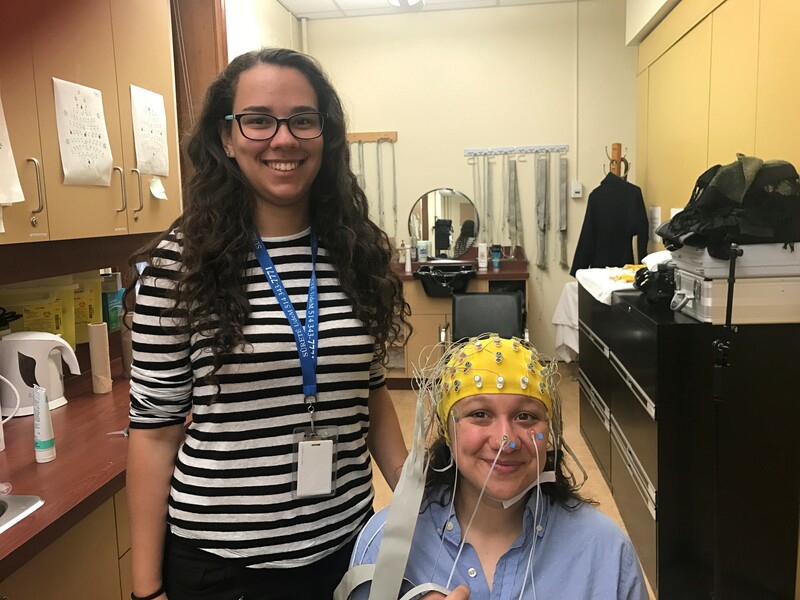 Working under the direction of Professor Alexandre Lehmann, the Australian psychology major is using electroencephalography (EEG) to measure the brains of 20 volunteers to see how they react to different types of sounds.